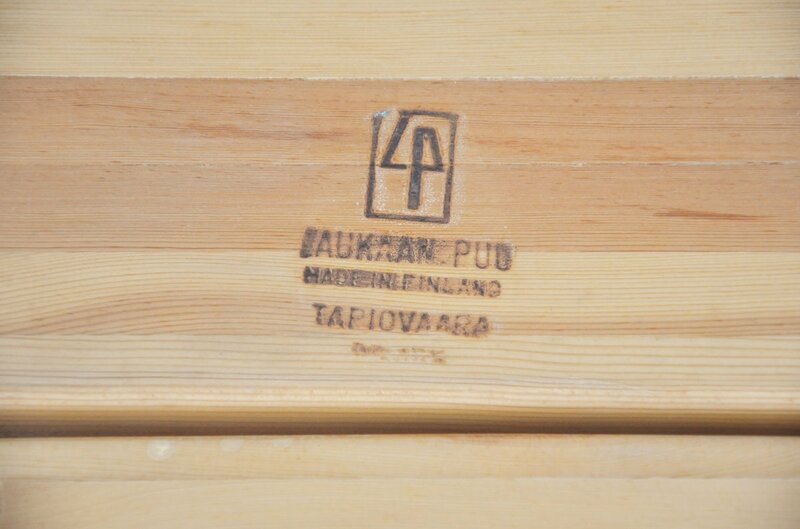 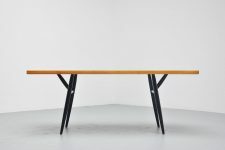 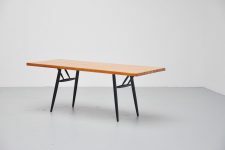 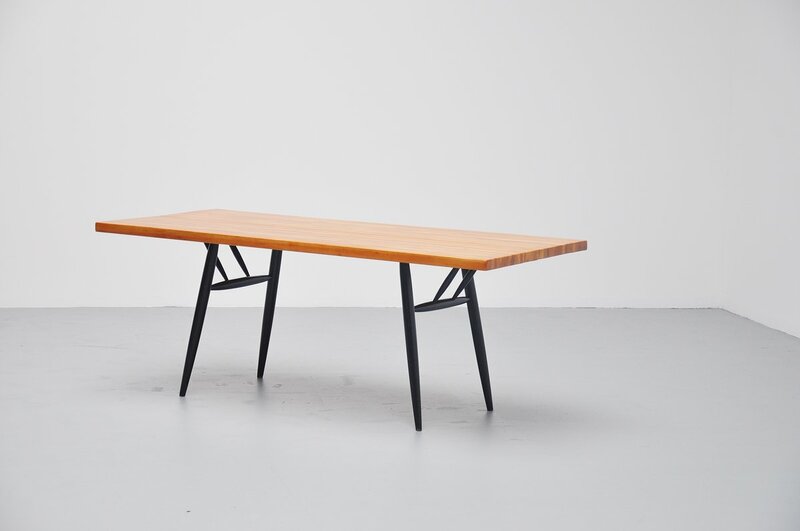 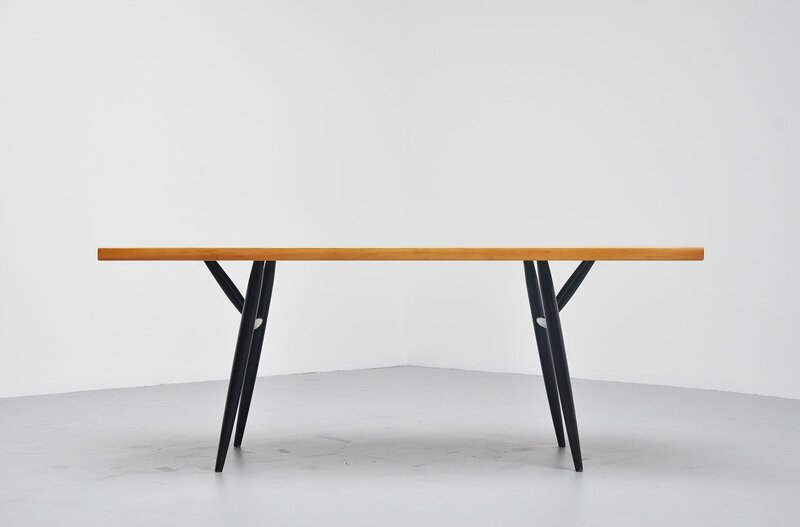 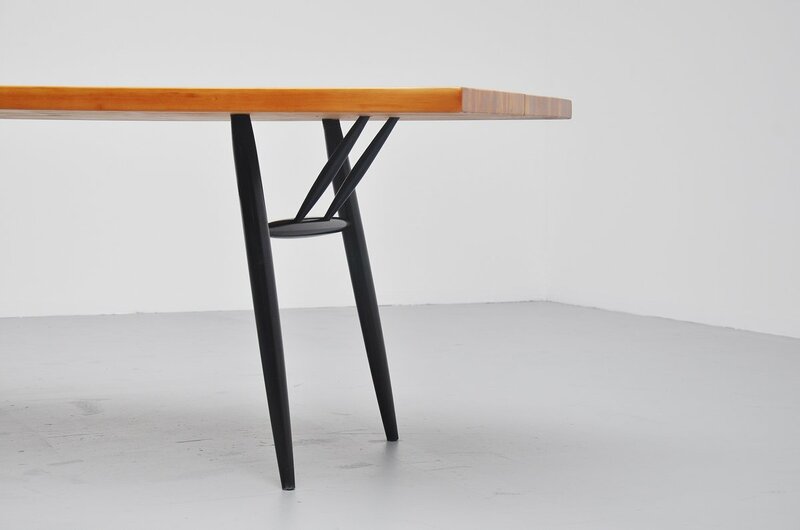 Very nice and large dining table designed by Ilmari Tapiovaara for Laukaan Puu, Finland 1955. 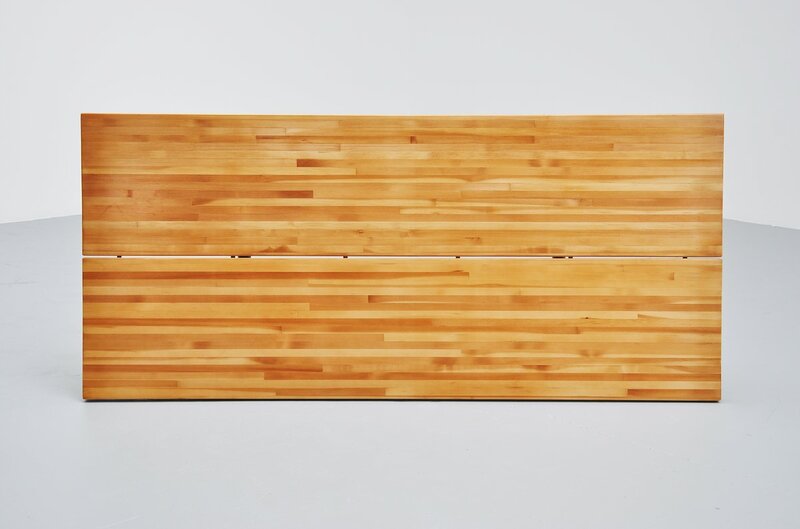 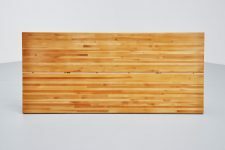 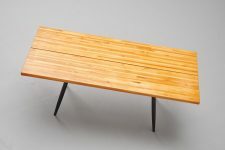 This table has a solid pine top made of numerous pine slats glued to each other, and solid wooden black lacquered leggs. 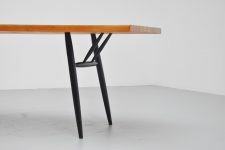 The top is fully restored and in excellent condition. 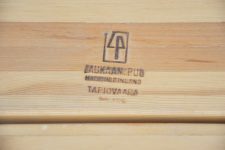 Brand marked on the bottom accordingly.